There’s a whole world out there just waiting to be explored, both on and off the streets. Stop letting your vehicle hold you back from starting a new expedition; With vehicles that are readily equipped for adventure, you can really get in touch with what nature has to offer. Take a look at one of the most impressive vehicle lineups built to suit those with more than a little wanderlust. Before we get into the lineup, let’s take a moment to talk about some of the impressive components that each of these vehicles have that make them the perfect companion for your next trip. If you’re looking for a do-it-all vehicle with impressive power and handling, you can count on this power-configured, off-road lineup of CDJR vehicles. With these heavy-duty powertrain vehicles, mud, snow, rain, sand, and mountains won’t get in the way of your goals. For those looking to take their expeditions off the beaten path, it’s important that they have access to a vehicle that’s equipped with the technology needed to make it ready for action. Through a combination of performance, utility, and specialized off-roading features like Jeep’s Selec-Terrain the vehicles in this lineup are ready to explore nearly any terrain. What’s a sporty vehicle without the ability to provide drivers with more than enough space for their gear and their friends? Don’t let lack of space hold you back from getting out there any longer by upgrading to one of these great vehicles. Now that we’ve had the time to take a glimpse into what makes these vehicles so awesome, it’s time to unveil the lineup that you’ve been waiting for. Check out the vehicles and their important specs below. 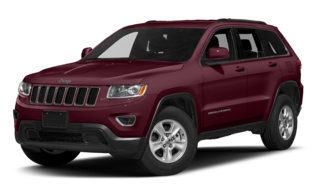 2016 Jeep Grand Cherokee – For those looking for a luxury SUV that can also pull its weight off-road, the Grand Cherokee is more than suitable with its 5.7L HEMI V8 engine that can provide 360hp and 390 lb-ft of torque and towing of up to 3,356 kilograms. 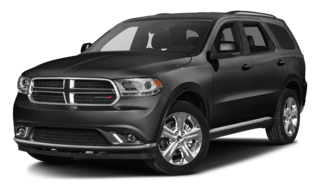 2016 Dodge Durango – The Durango is a great road trip vehicle for all kinds of drivers with a 3.6L V6 engine that can get up to 295 lb-ft of torque, 9.5 L/100km on the highway, and seat up to seven passengers. 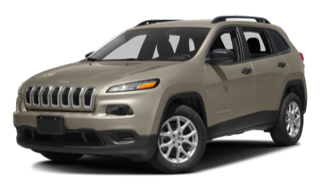 2016 Jeep Cherokee – Take a comfortable ride through the mountains with the jeep cherokee whose fuel efficient 2.4L Tigershark engine gets as low as 7.7 L/100km on the highway with 184 hp. 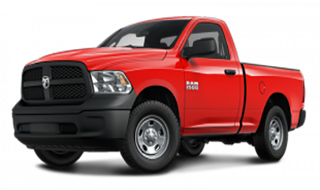 2016 Ram 1500 – For those looking for extreme space and towing power, the Ram 1500 is your truck. With the ability to seat five, tow up to 4,826 kilograms, and haul a payload of 857 kilograms there’s no stopping the Ram 1500. 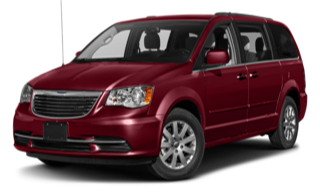 2016 Dodge Grand Caravan – Even minivans can provide versatile and exciting driving experiences. 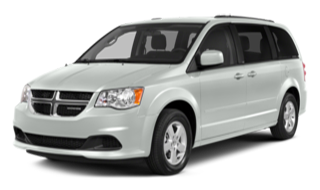 With the Grand Caravan drivers can enjoy 283 hp, 9.4 L/100km on the highway, and 81 different seating and cargo configurations. 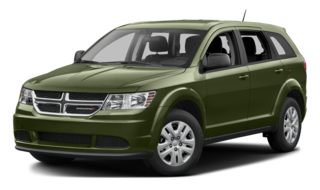 2016 Dodge Journey – As a stylish crossover, the Journey mixes bold exterior features with innovative technology and an efficient powertrain with the ability to get 9.1 L/100km highway to provide drivers with a new kind of driving experience. 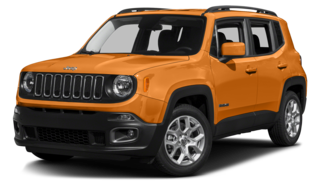 2016 Jeep Renegade – While the Renegade may be smaller than your average off-roader, that doesn’t stop it from being spacious, efficient, and tough both on road and off road. This small, but strong vehicle can tow as much as 907 kilograms. 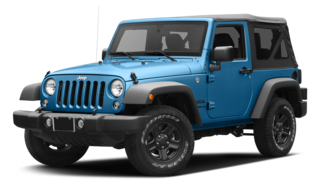 2016 Jeep Wrangler – The classic look of the Wrangler appeals to Regina drivers everywhere, but with power of up to 285 hp and towing capabilities of up to 1,588 kilograms there’s more to this vehicle than looks. 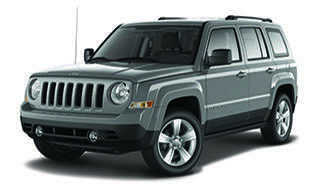 2016 Jeep Patriot – Enjoy space, luxury, and power with the Patriot. Capable of towing up to 907 kilograms and equipped with an impressive all-wheel drive system, there’s little left to desire from this vehicle. 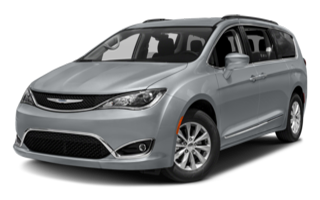 2016 Chrysler Town and Country – A seven passenger minivan with a great balance of power and efficiency with a 3.6L V6 engine that gets an incredible 14.1 L/100 km city and 9.5 L/100 km highway. To get started on the path toward owning one of these great vehicles, all you have to do is stop by Crestview Chrysler Dodge Jeep Ram at 601 Albert Street in Regina or call us at today.